You can purchase Empty Mansions through the booksellers listed below. All forms of the book now include updates on the settlement of the Clark estate. Empty Mansions is available in four flavors: hardcover, paperback, e-book, and also the audiobook containing about 20 minutes of audio of Huguette and her cousin Paul Newell in conversation. As she describes to Paul having tickets for a ship that didn't sail, on the return trip of the Titanic on its maiden voyage, Huguette says matter-of-factly, "It was never able to get to New York, because it sank before it got here. So we took another boat." (And she remembered the name of that boat.) Book clubs have found it worthwhile to have one at least one member get the audio, to play snippets at a meeting. Indiebound independent bookstores have Empty Mansions in hardcover, paperback, and e-books in various formats. Buy from a local bookseller. Barnes & Noble has the hardcover book, the paperback, the audio version of Empty Mansions from Books on Tape, and the electronic book for download to Nook. Buy from Barnes & Noble. Amazon has the hardcover Empty Mansions, the paperback, the audio book from Audible, and the electronic book for download to Kindle. Buy from Amazon. Apple has the electronic version of Empty Mansions for download via iBooks or iTunes to read on your iPhone, iPad, iPod Touch or Mac, and the audio book is also available via iTunes. Buy from Apple. 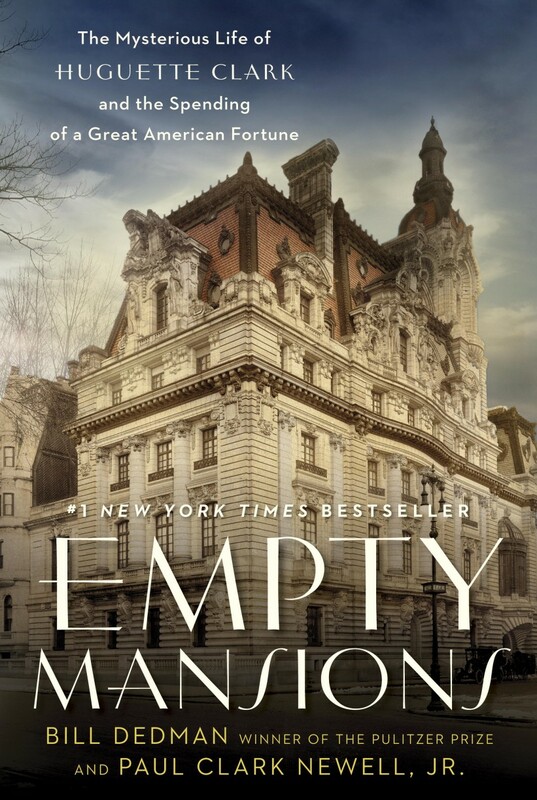 Books-A-Million has the hardcover, paperback, and electronic versions of Empty Mansions. Buy from Books-A-Million. Random House provides links to additional retailers for the print, electronic, and audio book. The audio version of Empty Mansions from Random House Audio includes Huguette Clark’s voice in excerpts from her conversations with co-author Paul Clark Newell Jr. The book is read by actress Kimberly Farr, and authors Bill Dedman and Paul Clark Newell, Jr., read introductions. You can see details, listen to an excerpt and find various outlets for downloading the audio book via Random House Audio. You can buy the audio book directly from Audible, eMusic or through your iTunes player. Buy from Audible.